It’s been a full week of harvesting, storing food for the months ahead, and continued storm cleanup at Coppertop. 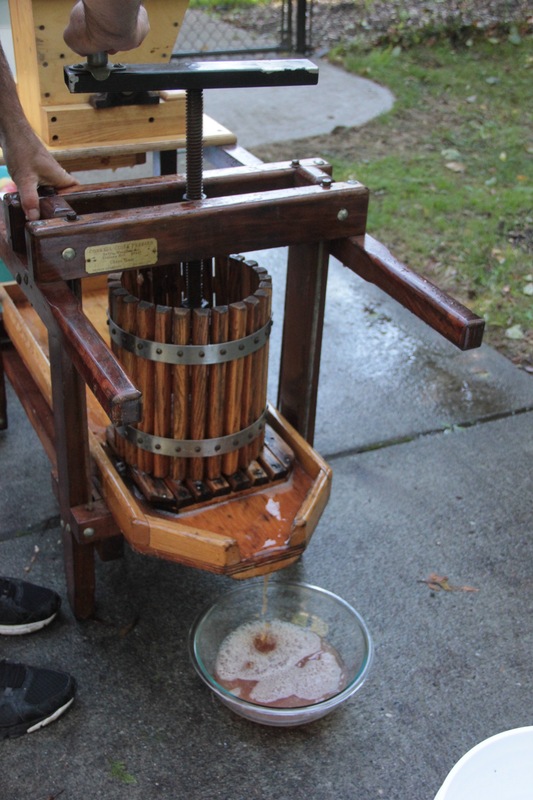 Since Hubby has had it in his mind to make hard (alcoholic) cider this year from our bushels of apples, the first step in making hard cider is of course to juice the apples to make fresh cider. 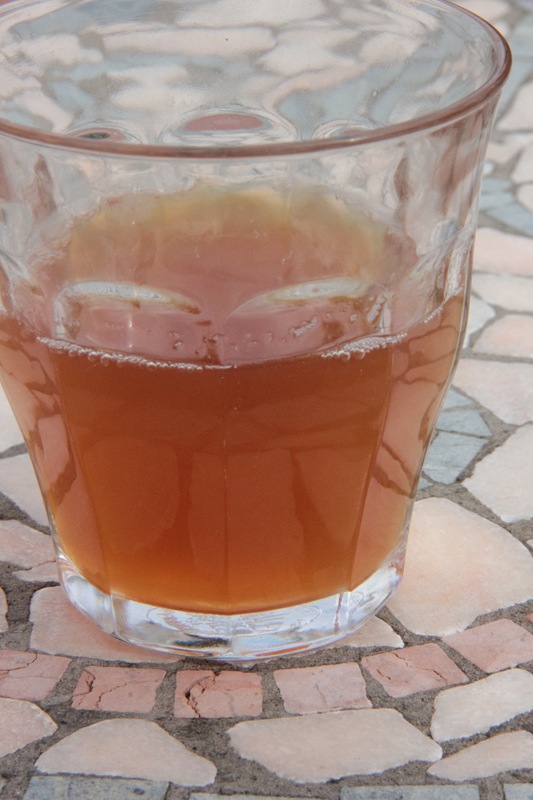 Fresh cider is raw apple juice that hasn’t gone through a filtration process to remove particles of pulp or sediment. 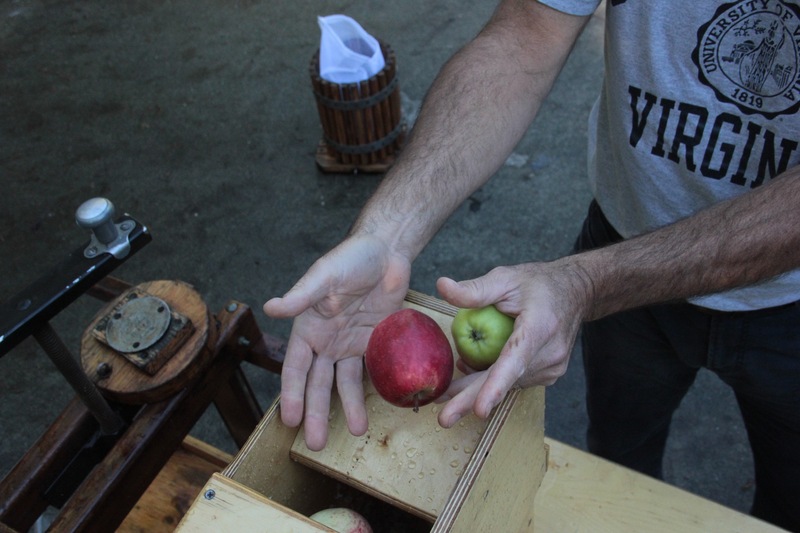 It takes about one third of a bushel to make a gallon of fresh cider. 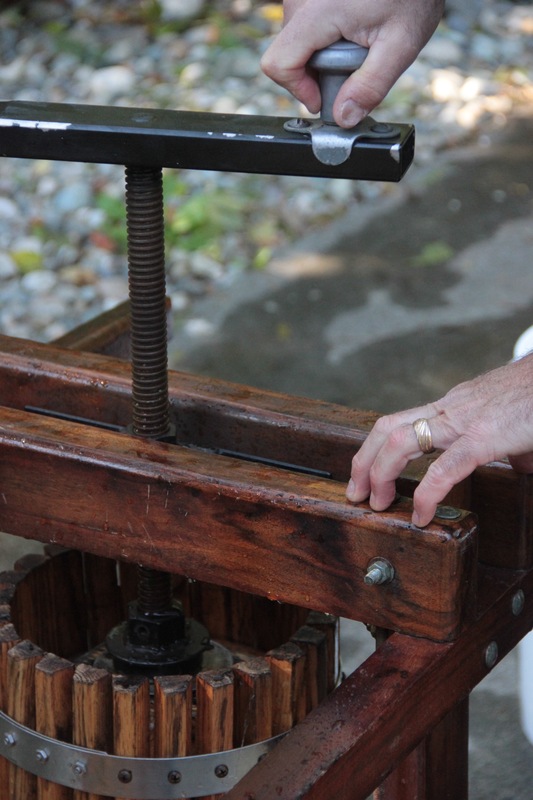 Today we rented an awesome Correll cider press from a local farm store. Correll presses are handmade in Veneta, Oregon, by Correll brothers Bob and Dan. The apple shredder on the unit we rented is electric, which eases the whole process considerably. To start things off on our driveway which became Cider Central today, Hubby began shredding at least four huge blue buckets of our three varieties of apples. 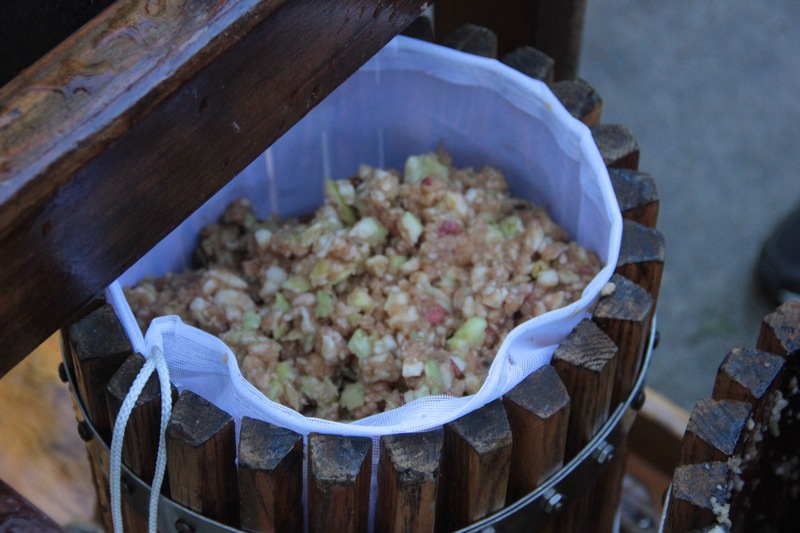 The next stop along the cider press is a basket for pressing the milled apple pieces, also known as the pomace. We discovered that old pillowcases work well as nets or filter bags for each basket and allow for easy lifting of the apple bits. The second basket has a pressing lid and a pressing screw. 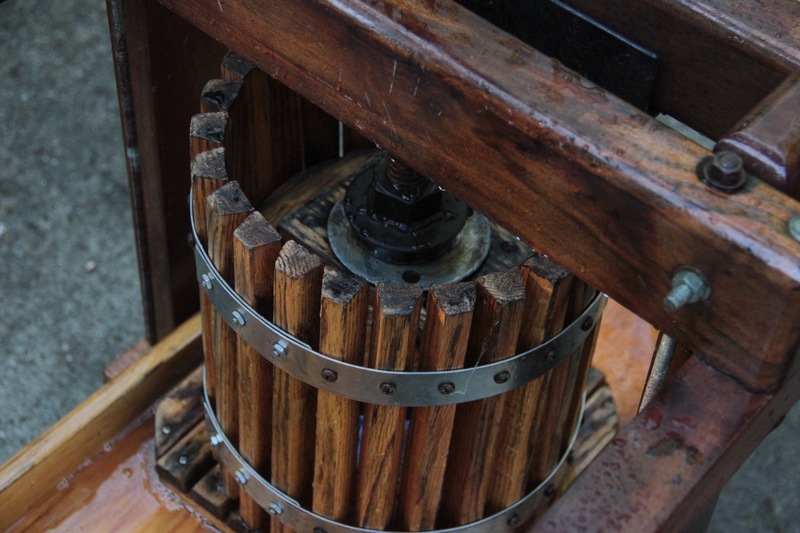 The beautiful, fragrant cider then flows from the bottom of the second basket into a vessel or bowl you place below the press. 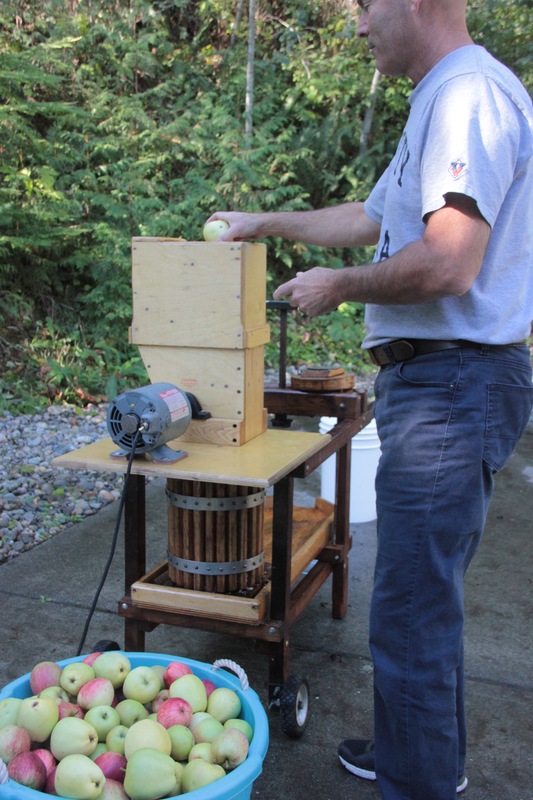 As of right now, Hubby has already pressed 10 gallons of cider. That means he’s pressed over three huge blue buckets of apples. 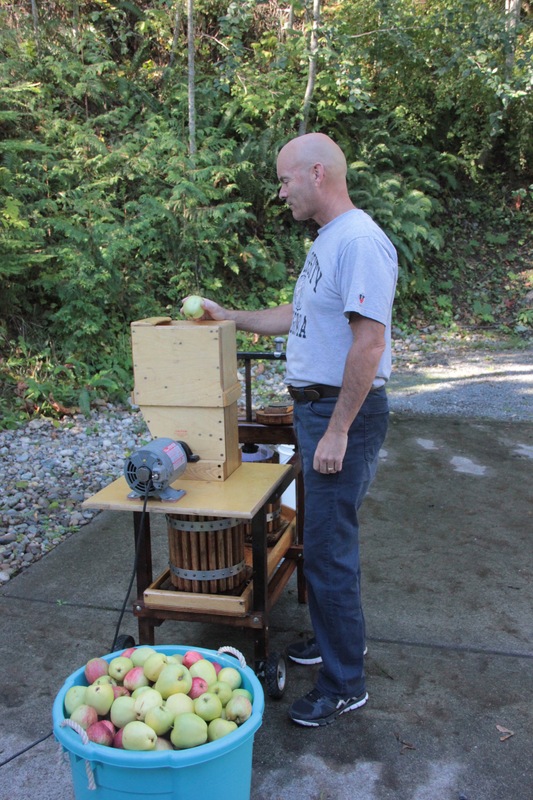 Since we have to return the press in the morning, he continues to make trips down to the orchard, attempting to pick all the ready and waiting apples. 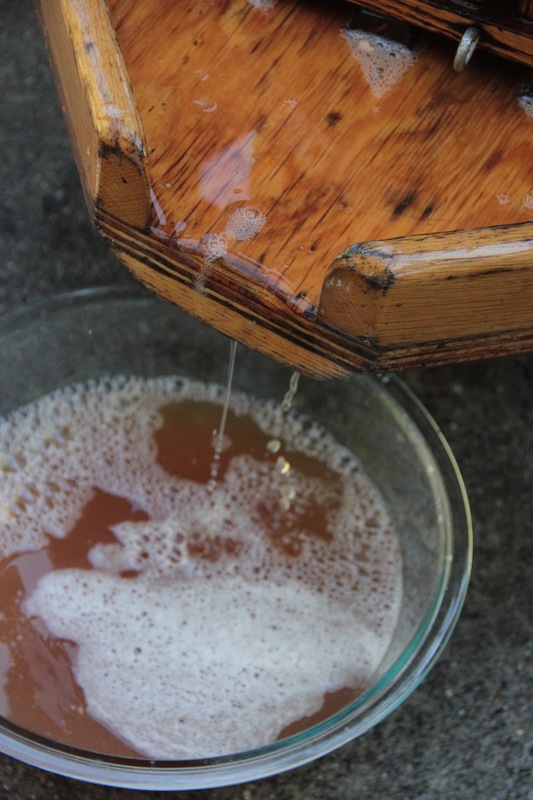 The process for turning all this fresh cider into fermented, hard cider is relatively simple and involves some sulphates, some yeast, and lots of foam. More on that another day. 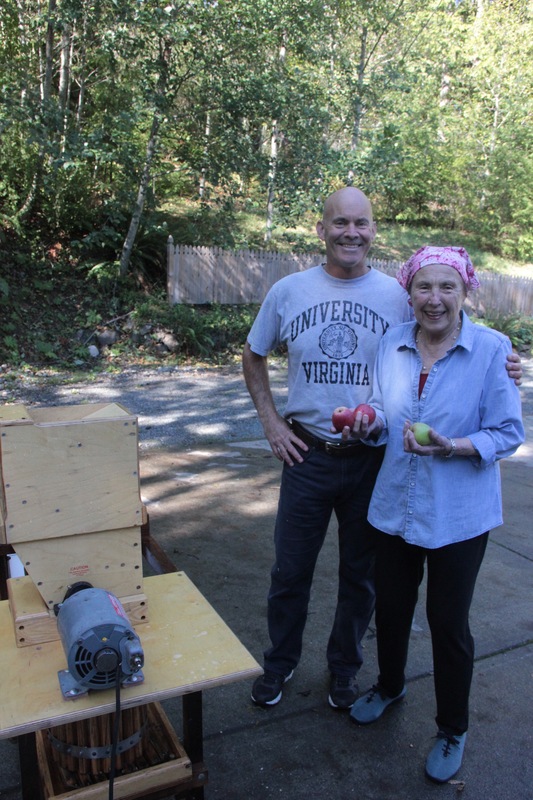 My dear mom helped in today’s ciderworks! 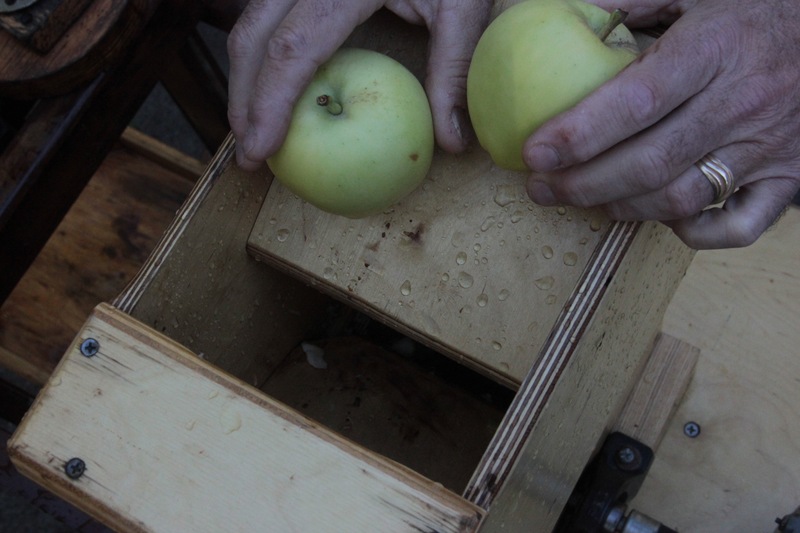 This entry was tagged cider press, Correll cider press, fermantation, fresh cider, gardening apple harvest, hard apple cider, Olympic Peninsula, Pacific Northwest, pomace. Bookmark the permalink. Congratulations. I’ve often wanted to do this, but you actually have! We’re hoping for a great result. It’s invigorating to try new things, isn’t it?